City Council had voted against further SUP regulations, but the advisory board urges city leaders to reconsider the issue again. 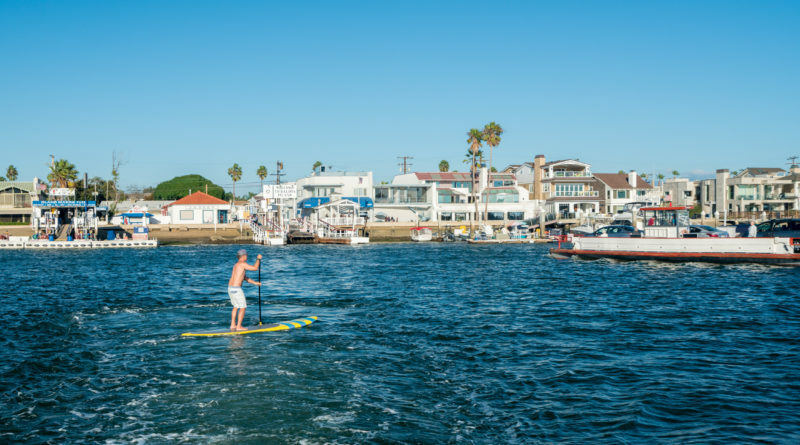 NEWPORT BEACH—Love it or hate it, standup paddleboarding, abbreviated as SUP, has taken off as the trendy new outdoor sport. Unfortunately, because it is such a fun on-water sport combining elements of kayaking and surfing, folks sometimes forget it can be a danger to the paddleboard user and to others sharing the ocean arena. Newport Beach’s Harbor Commission, however, has been actively seeking to implement safety measures for paddleboarding. Commissioners, at the last Harbor Commission of the year, which took place on Dec. 12, 2018, voted to take their findings from a previously formed ad hoc committee on paddleboarding to Newport Beach’s City Council. In 2016, the ad hoc committee on paddleboarding was formed after a paddleboarder died in a highly unusual accident in Huntington Harbour. The paddleboarder, it was discovered, could not swim. Work to revise MAPs requiring SUP companies to: a) distribute the safety brochure and require customers to acknowledge that they have read and understand it; b) require customers to acknowledge in writing that they can swim and require the customer to wear a personal flotation device if they cannot. Carol Jacobs, Newport Beach’s assistant city manager, told The Log in an email she hopes the City Council will review the recommendations at either the upcoming Jan. 22 or Feb. 12 meetings. Last May, Commissioner William Kenney presented the ad hoc committee’s findings of which he was a member. One of the more shocking realizations was that only seven of 20 paddleboard rental businesses operating with a permanent address held a MAP. Though council member Diane Dixon and former Council member Scott Peotter had supported increased regulations on SUP, the city council voted against measures that might get ahead of Coast Guard approval but gave further direction to revisit the topic later. Though SUP may look like a relaxing and easy sport, it certainly requires skill. Natural elements can also interfere including wave swells, tide conditions and wind. It is important to note that beginner or inexperienced paddlers are responsible for watching for traffic on the water – larger vessels will not easily be able to maneuver out of the way, so it is crucial to be alert while navigating on a paddleboard and follow safety procedures. If these recommendations should be passed by the City Council, they will not have a fiscal or environmental effect on the harbor.